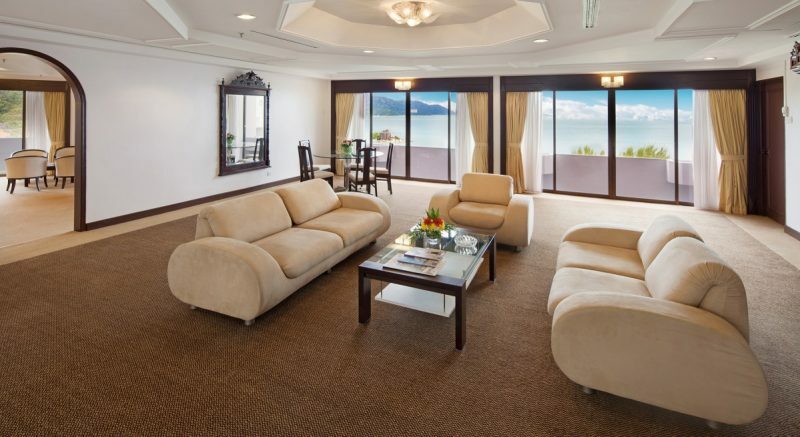 Our Penthouse offers the delight of looking out over both the turquoise waters of the historic bay and verdant hill slopes. A suite of four luxuriously appointed bedrooms have one double bed each, a separate living room and a dining area. A private, cozily paneled lift takes guests to the top of the hotel, where the Penthouse is located. Lovely daytime vistas are equaled by evening views when the lights of the town and its famous night market twinkle below. 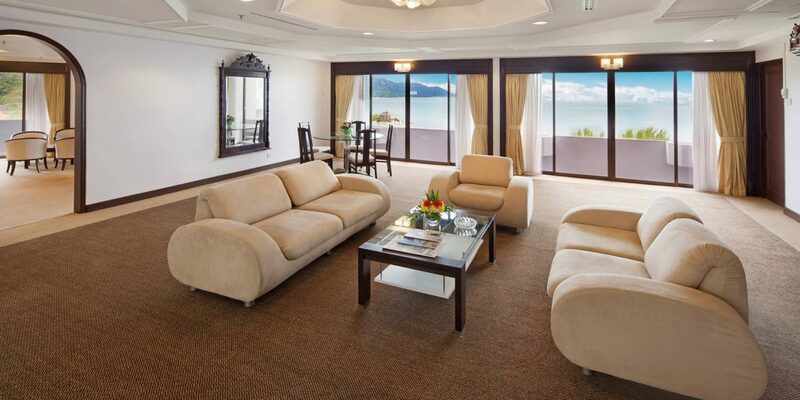 The luxurious living room offers a cool yet cozy gathering area for guests to play games, surf the internet or watch television while escaping the heat of the tropical day.